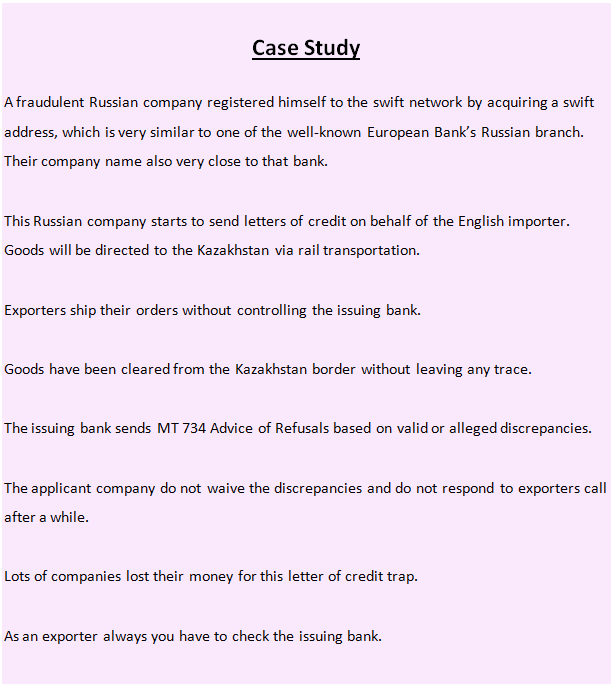 Home Letter of Credit Basics How to Check a Letter of Credit as an Exporter? How to protect yourself as an exporter when working with a letter of credit against various risks? Documentary letters of credit are internationally recognized instruments that help ensure the creditworthiness and payment of the overseas parties you’re trading with. Letter of credit is a balance payment method in international trade. Both exporters and importers are protected by the letter of credit in certain amount, if they act properly. Today I am going to show you how to protect yourself against various risks as an exporter, when working with a letter of credit. Letter of credit control process for exporters can be grouped under 3 main categories. Preliminary Investigation Stage: You should check your customer’s background and credibility at this stage. Sales Contract Stage: You should draft and sign a sales contract at this stage. 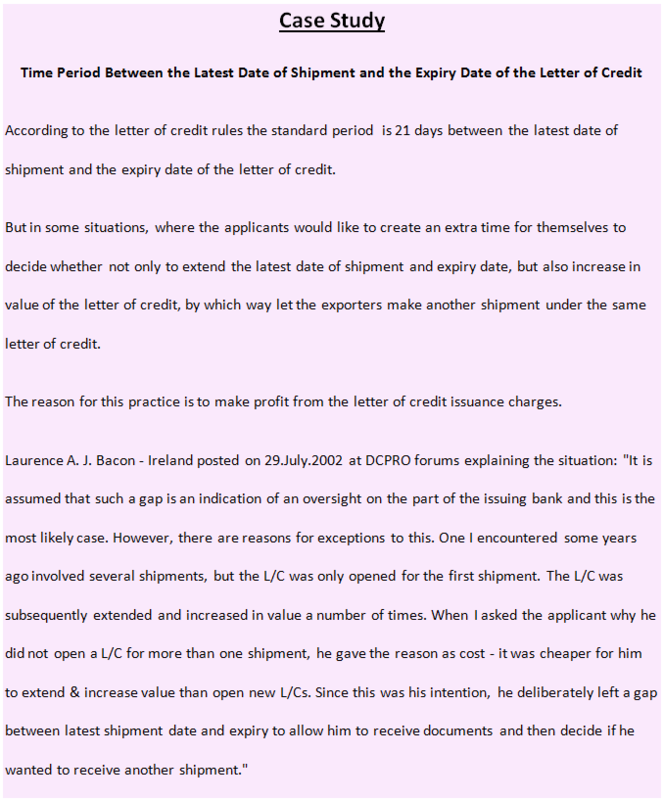 Letter of Credit Control Stage: You should control the letter of credit draft at this stage. Learn Who Your Customer Really Is: Nothing can protect you against an ill will customer. As a result, you need to make sure that your customer is a valid company with a proven track of business and has a financial credibility to complete the transactions. How to investigate your customer? Check your customer’s country risk: Customer’s country risk is one of the key elements that you should check before entering any contractual relationship with your customer. Be aware of political risks, economic risks as well as risks associated with sanctions, embargoes and anti money laundering regulations. Check your customer’s references: Check your customer references by asking the potential customer to the other companies that you have been working with, freight forwarders, custom brokers and governmental organizations such as Commercial Counselors. Buying a credit report: You can buy credit reports from “International Business Intelligence” companies. Corporate credit reports tell you how much credibility your customer has. For example, if the credit report suggests you that you could give 20,000 EUR credit to your customer, while your customer is pushing you to enter into a business with a total amount of 200.000,00 EUR, you should be alerted. Buying a credit report is a wise thing, working with a new customer, especially when the payment will be made via an open account, documentary collection or letter of credit. After you investigate your customer, you can proceed to the sales contract drafting stage. Letter of credit is not a sales contract. As a result you must have a sale contract regardless of the payment method you will be choosing. You can find detailed information on my previous post explaining “What is a sale contract? How to use a sale contract in a letter of credit transaction?”. If you need further help, please read this article. After checking your customer’s credibility and signing a sale contract, now you can proceed to the letter of credit control phase. Experienced exporters demand a “draft letter of credit” from the importers in order to make the revisions without paying extra costs for the amendments. A draft letter of credit is prepared by the issuing bank in swift format contains all the aspects of the actual letter of credit with couple of exceptions. It is not an operative instrument because the issuing bank intentionally indicates so. Additionally the draft letter of credit does not secure the issuance of an actual letter of credit. Step 1 – Checking Irrevocable Structure of the Letter of Credit: Irrevocable means that the issuing bank cannot amend or cancel the letter of credit without the written consent of the beneficiary. Ac per UCP 600 all letters of credit are irrevocable unless otherwise explicitly stated in the credit. Make sure that the letter of credit issued subject to the latest version of the uniform rules of documentary credits, UCP 600. What is irrevocable letter of credit, definition and application? Step 2 – Verifying the Date of Issue, Latest Date of Shipment and Date of Expiry: Each letter of credit should contain a date of issue, latest date of shipment and date of expiry. Make sure that the date of issue indicated in the letter of credit. Some letters of credit states that documents must not be dated before the letter of credit issuance date. You must ensure that if such a clause has been inserted into the credit. If so, you should comply with this regulation. Make sure that you can make shipment before the latest date of shipment. Make sure that you can present documents before the expiry date of the letter of credit. If the letter of credit expires at the counters of the issuing bank, but not in your own country, you may require extra time for forwarding the documents to the issuing bank. Step 3 – Verifying the Issuing Bank: According to the letter of credit rules non-bank organizations could issue letters of credit, which leaves exporters vulnerable to fraud risk originated from the non-bank letter of credit issuers. Make sure that the issuing bank is a valid and trustworthy bank whom you are comfortable to work with. Make sure that the advising bank is a reputable bank located in your country. Make sure that you have received the letter of credit in swift format through an advising bank in your country. Step 4 – Checking the Beneficiary’s and Applicant’s Name and Address: Issuing banks usually indicate beneficiary’s name and address with errors. Make sure that the full name of your company and its address are correctly stated in the letter of credit. Make sure that the full name of the importer’s company and its address are correctly stated in the letter of credit. Step 5 – Checking the Letter of Credit Currency and Amount: The letter of credit amount and currency must match the amount and currency stated in the sales contract. Be aware of close currency symbols such as USD, AUD, CAD are being shown by the same USD ($) symbol. Make sure that the letter of credit amount is correct. Make sure that the letter of credit currency is correct. What are the Main Currencies Used in International Trade Finance? Step 6 – Checking the Description of Goods/Services: Description of goods and services is very important article especially when completing the commercial invoice. According to the letter of credit rules, the commercial invoice must contain an exact description of goods and services that the letter of credit states. Also it is not possible to write additional goods on the invoice even if you mention them free of charge. Make sure that description of goods and services are corresponding the sales contract. Make sure that all goods have been covered under the commercial invoice. Step 7 – Checking the Documents Requested by the Letter of Credit: Documentation is the core of the letters of credit. Banks decide to pay or reject the presentation by checking the documents only. If you have a complying set of documents, you will be paid. If your presentation contains discrepancies you will be waiting for the applicant’s approval. Please give enough attention to the documents which have been covered specifically under the letter of credit rules and international standard banking practices such as transport documents, insurance documents, bills of exchange, commercial invoices, packing lists and certificates. Make sure that you can provide all documents required under the letter of credit. Make sure that you can comply with the signature, issuance and authentication requirements of the documents. Make sure that you can supply documents on time. Make sure that there is no document should be issued or countersigned by the applicant. What are the Risks of a Document Which is to be Issued, Signed or Countersigned by the Applicant in a Letter of Credit Transaction? Step 8 – Checking the Payment Terms: Payment terms in a letter of credit transaction define how sooner the beneficiary can reach to the payment. It is also known as “Tenor”. According to the latest letter of credit rules all letters of credit must state whether they are available by sight payment, deferred payment, acceptance or negotiation. The payment term “At Sight” indicates that the exporter will be paid within a reasonable time after documents will be found complying by the issuing bank or the confirming bank. “Deferred Payment” indicates that the exporter will be paid after certain amount of time indicated in the letter of credit. 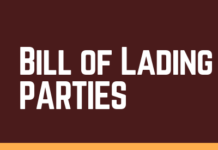 For example, if a letter of credit indicates that the payment is available at “90 days after bill of lading date”, the exporter will be paid 90 days after date of shipment, of coarse with the condition that the complying presentation. The payment term “acceptance” indicates that letter of credit consists of a draft either “sight” or “usance”. The payment term “negotiation” indicates that the beneficiary could get his payment from the nominated bank before the maturity date. Make sure that payment terms quoted in the letter of credit agree with the sales contract. Step 9 – Checking the Incoterms: Trade terms have been grouped into two main categories under the Incoterms 2010 rules: Incoterms that can be used only by sea transportation (FAS, FOB, CFR and CIF) and Incoterms that can be used with all modes of transport (EXW, FCA, CPT, CIP, DAT, DAP and DDP). As a result Incoterms and shipment mode must match each other in a letter of credit transaction. 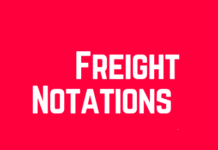 Furthermore, “Freight Collect” and “Freight Prepaid” expressions must be used in conjunction with the applied Incoterms. As an example, keep in mind that you can not use the CIF term with “Freight Collect” expression. Finally, if Incoterms are stated in the “description of goods and services” part of the letter of credit, the commercial invoice must exactly reflect the stated Incoterms. For example, if the letter of credit states “FOB New York Port, USA, Incoterms 2010” in the “description of goods and services” part of the L/C, the commercial invoice must show this exact definition as indicated. Make sure that Incoterms and the shipment mode must match each other. Make sure that “Freight Collect” and “Freight Prepaid” expressions are in accordance with the applied Incoterms. Make sure that you know your responsibilities under the Incoterms which is stated in the letter of credit. Step 10 – Checking the Port of Loading / Port of Discharge: Port of loading and port of discharge are the two main elements of a marine bill of lading. According to the letter of the credit rules the port of loading and port of discharge must not be in conflict with the ones stated in the letter of credit. As a result you must make sure that the port of loading and port of discharge is consistent with your sales contract. Keep in mind that as an exporter you may benefit from the use of a very generalized port of loading definition in the letter of credit , such as “Any U.S. West Coast Port” or “Any U.S. port” or even “Any North American Port”. But when you dispatch the goods, you must write the actual port of loading to the bill of lading. Make sure that port of loading and port of discharge stated in the letter of credit is consistent with your sales contract. Step 11 – Checking the Letter of Credit Fees: Letter of credit is not a cheap payment option. If you do not give enough attention to the letter of credit charges as an exporter, your profit margin may be reduced significantly. As a result you have to understand your approximate cost of working with a letter of credit at the beginning of the transaction. If possible try to reflect these costs into the goods when you are giving a price offer to your customer. Now you know that letter of credit costs are high, but you may still wonder which letter of credit costs will be paid by the exporter. In theory all L/C fees must be paid by the importer. But in reality importers pay only letter of credit issuance costs and force exporters to pay the remaining L/C charges. Try to figure out how much money you have to pay for each sort of letter of credit fees. Step 12 – Checking the Presentation Period: Current letter of credit rules gives 21 days to the exporters to make their presentations to the nominated banks. The 21 days presentation period starts with the date of shipment. You must complete your presentation within this allowed time frame. If a letter of credit contains a special presentation period clause, the exporter must obey this specific presentation period for the letter of credit, but not the standard 21 day presentation period. 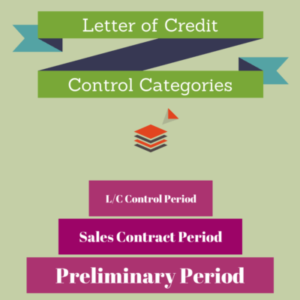 Determine the presentation period of the letter of credit. Make sure that you are able to comply with this presentation stipulation. Step 13 – Checking the Partial Shipments: The letter of credit rules allow partial shipments. Able to make partial shipments is a huge advantage for the exporter. As a result you should try to keep the letter of credit in a way that it is allowing the partial shipments. If your letter of credit is silent concerning partial shipments, it is should be understood that the partial shipments are allowed. Make sure that partial shipments are allowed under the letter of credit and it is what you have agreed on your sales contract. Which one is more important: Partial shipment or transshipment? Do partial drawings and partial shipments have the same meaning? Step 14 – Checking the Transshipment: The letter of credit rules allow transshipments. Actually, transhipments are not controlled by the exporters and almost all the container carriers do practice several transshipments between the ports of loading and ports of discharge. For example a container vessel carrying cargo between Xiamen Port, China to Ploce Port, Croatia make transshipments at Chiwan Port, China and Gioia Tauro Port, Italy. These transshipments are arranged by the carrier. The shipper has no influence. You cannot say to the carrier “Hey, transhipment is prohibited as per my letter of credit terms, you can not make any transshipments!”. What you can do is to make sure that transshipment is allowed under your letter of credit. Transhipment should be prohibited only very rare situations in the letter of credit transactions. Make sure that transshipments are allowed under the letter of credit and it is what you have agreed on your sales contract. “Field 78: Instructions to the Paying/Accepting/Negotiating Bank”. Reimbursement instructions are very important to the exporter, as they determine how and when payment will be received. The issuing bank requires nominated bank to send documents to the issuing bank for payment (very rare and slowest reimbursement method of payment). Make sure that reimbursement instructions do not block you to receive payment via unreasonable restrictions. 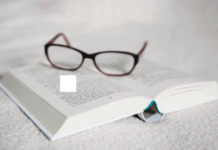 Step 16 – Non-Documentary Conditions: A non-documentary condition can be defined as any instruction or condition that is not clearly attributable to a document to be stipulated in a documentary credit. Non-documentary conditions are great source of confusion and disputes between the issuing banks and exporters. Certificate of origin issued in 1 original and 1 copy legalized by the local chamber of commerce attesting that goods are of China origin. Certificate of origin must show that goods are of China origin. Exported goods must be Australian Origin. Any of the presented document must not show that goods are originated from a country other than Australia. Make sure that you have identified all non-documentary conditions in the letter of credit. Step 17 – Jocker Clause: A credit should not require presentation of documents that are to be issued, signed or countersigned by the applicant. If any document that requires such action should be treated as a “Jocker Clause”. One of the main reasons checking the letters of credit as an exporter is to locate the “Jocker Clauses”. You should remove all detected Jocker Clauses. Make sure that you have identified all Jocker Clauses in the letter of credit. 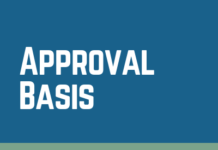 Step 18 – Checking the Confirmation: Confirmation means a definite undertaking of the confirming bank, in addition to that of the issuing bank, to honour or negotiate a complying presentation. A confirming bank is requested by the issuing bank to add its guarantee of payment or acceptance to the letter of credit instrument. You can protect yourselves against various risks under the letter of credit transaction by having the letter of credit confirmed by a prime bank in your country. Make sure that you can have the letter of credit confirmed by one of the prime banks in your country. How to Add Confirmation to a Letter of Credit? Step 19 – Checking the Reimbursement Bank: The reimbursing bank is usually named in “Field 53a: Reimbursing Bank” of a S.W.I.F.T. 700 message. Make sure that reimbursement bank identified in the letter of credit is one of the most reputable banks around the world such as Commerzbank, HSBC Bank, The Bank of America Merrill Lynch etc.. Step 20 – Conclusion: Do not assume anything when working with a letter of credit. Always act with caution. If you do not know a term read the letter of credit rules, ask it to your bank, check reputable online sources before taking any further steps. Let me finish this part with the sentence I have written just at the beginning of this booklet. How to Check a Letter of Credit? Is It Possible to Get Partial Payments When Making Partial Shipments?